Geographically, supercars are usually associated with the United Stats, Japan and a few Western European nations. Here are 10 supercars from countries you wouldn’t expect supercars to come from. It’s amazing the Pléthore from Montreal-based HTT Automobile isn’t more well known. 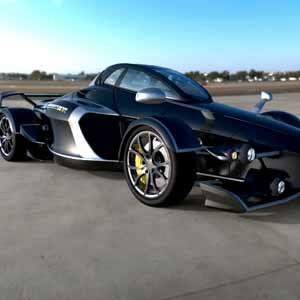 Featuring a carbon fiber monocoque, a central driving position (a la McLaren F1), and a Pratt & Miller supercharged LS7 V8, this car is a ground based spaceship with serious performance credibility. It has a supercharged 6.2L V8 with 750 hp (560 kW) and 655 lb·ft (888 N·m) of torque or an optional high performance home made engine with 1,100 hp (820 kW).